“I heard a voice in my head, like my voice but different, and at the same time it felt like someone was punching me in the guts. If you want something to change, you have to be willing to let go of everything”. Alice Williams thinks she’s finally got her life together. After years of banging her head against call centre walls, and working other low-level office jobs to make ends meet, she’s scored her dream job as a storyline producer on one of the long-running Aussie soaps she worshipped as a child. But Alice’s new job isn’t at all what she hoped it would be. Her ideas for new storylines are scoffed at by the other writers, and any hope she had for injecting freshness and originality into the show soon fizzles out. Disillusioned, Alice turns to food, the one thing that’s always helped her through tough times, but when she’s ‘phased out’ of her job after just a few months, not even the chocolate donuts from her local bakery are enough to silence the demons she’s trying to keep at bay. Now unemployed, Alice is plagued daily with a gnawing sensation of not being good enough – not smart enough, not successful enough, not good-looking enough. There are deeper fears, too, that Alice can’t name, and after one angst-ridden night, Alice decides to make the ultimate ‘white-girl’ life change: she signs up to become a yoga teacher. At first, Alice is reluctant to immerse herself in the world of yoga. She balks at the idea of keeping a ‘breathing diary’ as all the trainee yoga teachers have been asked to do, and she doesn’t want to talk about her chakras. After a few weeks, however, things begin to change. Alice’s morning yoga practice sessions become the highlight of her day, and she finds a new inner voice that’s kinder than Alice has been to herself in a very long time. But yoga teacher training also forces Alice to lay her soul bare, to confront all the negative emotions and trauma she’s repressed over the years with the help of chocolates and sweets, and to confront her compulsive comfort eating itself. Can Alice push through the pain to become a fully-fledged yoga teacher, and change her life while she’s at it? Or has all her hard work been for nothing? 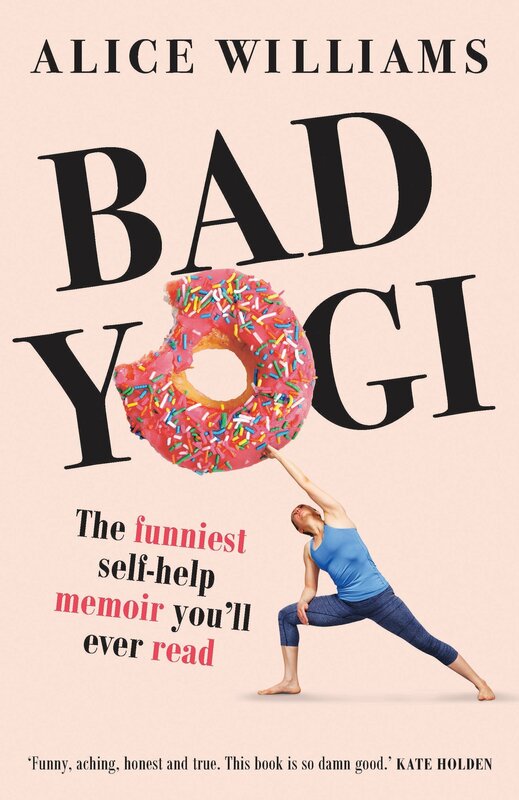 Penned by Alice Williams, Bad Yogi is a funny and compellingly honest memoir chronicling one woman’s journey through the weird and wonderful world of yoga. Williams is a charming and deeply likeable narrator, and her struggles with self-worth and the pressures of social and familial expectation are endlessly relatable. You’ll find yourself glued to the page as you follow Williams on her journey to become a yoga teacher and turn her life around, and you’ll feel every bump in the road just as keenly as if you were experiencing them yourself. Taking readers beyond the jargon, the gurus, and the Instagram-worthy poses, Williams’s book also offers an insightful look at the genuinely life-changing benefits of yoga, but Bad Yogi is even more than that. Witty, raw, and profound, it’s ultimately a story about the paradoxical nature of changing your life: about how this often means tearing down everything you thought made you strong. It’s a story about the healing power of being vulnerable, and about how terrifying and rewarding it is to let go of what’s safe, and to immerse yourself in something new. 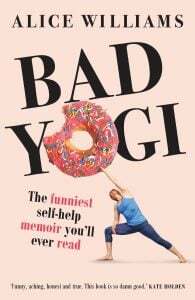 If you’re looking for a funny and inspirational New Year’s read, we can’t recommend Bad Yogi enough. Alice Williams is an author, freelance writer and yoga teacher. At nineteen years old she dropped out of university and lived in a Buddhist monastery in Nepal where she learned that even complete buttheads just want to be happy, so we should probably try and be nice to each other. Who knew? When Alice returned from Nepal, she finished her degree and worked low-level office and hospitality jobs to support her writing. Her first book, Would it kill you to say please?, was published in 2007. She celebrated this milestone by having a quarter-life crisis and becoming a yoga teacher. Alice lives in Melbourne with her partner and two young children.